You... Now let us honor you and your team's excellence. 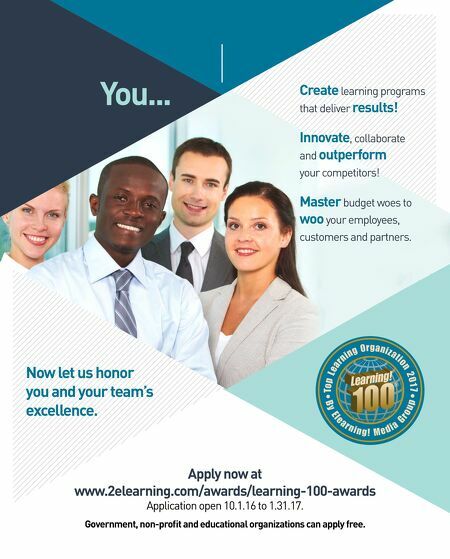 Create learning programs that deliver results! Innovate , collaborate and outperform your competitors! Master budget woes to woo your employees, customers and partners. 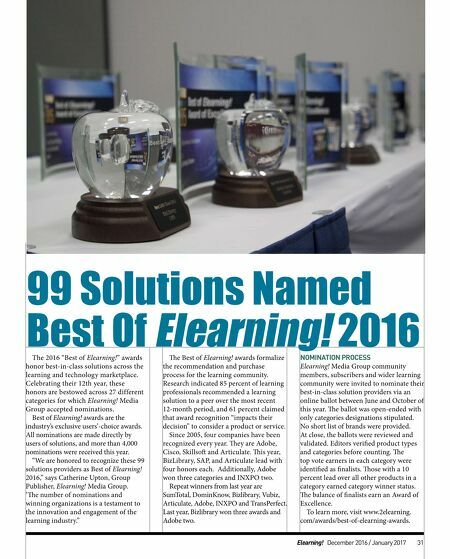 Apply now at www.2elearning.com/awards/learning-100-awards Application open 10.1.16 to 1.31.17. Government, non-profit and educational organizations can apply free.